It was a fairly routine week, so there are not many noteworthy cases this week. On Saturday, 01-05-19 at 10:00 p.m., Officer Lizana was dispatched to an apartment on the 300 block of 89th Street on a report of a residential burglary. The 38-year old victim said she was out of town the day before when she received text messages from her ex-boyfriend who threatened to kick in her door and “hurt someone”. When the victim returned home the following day, she found the front door to her residence was kicked in but none of her property was taken. The victim said her 43-year old ex-boyfriend had no friends in the building and had no reason to be there. Based on the suspect’s threats of physical violence and the door being kicked in, Officer Lizana sought an emergency protective order for the victim against the suspect. On Monday, 01-07-19, officers went to the suspect’s residence in San Francisco and arrested him for burglary, criminal threats and for two outstanding warrants. On Friday, 01-04-19 at 2:37 p.m., Officer Haas was dispatched to the Jiffy Lube on King Drive for a welfare check. The dispatcher advised the female who was on the phone was not making any sense. Officer Haas contacted the subject and observed she was possibly under the influence of a controlled substance. The officer conducted a series of field sobriety tests on the female, and he determined she was indeed under the influence. 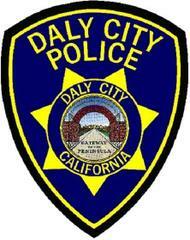 Officer Haas arrested the 40-year old Daly City resident for being under the influence of a controlled substance. On Tuesday, 01-01-19 at 8:00 p.m., a 36-year old Daly City resident reported his former roommate came to his apartment on the 400 block of 89th Street and forcibly took his car keys out of his hand and took his 2016 Acura ILX. The reporting party was afraid of his 20-year old ex-roommate, and he waited until 01-07-19 to file the report. On Tuesday, 01-08-19, the suspect brought the vehicle to the police station parking lot, and detectives arrested him for vehicle theft. On Friday, 01-04-19, a 42-year old FedEx delivery driver was unloading boxes from his truck onto a cart near the AT&T store on Gellert Boulevard when three males ran up to him and each one grabbed a box and ran and got into a nearby vehicle, only described as a BMW. This investigation is continuing. There were four residential burglaries during the past week. On Wednesday, 01-02-19 between 12:00 p.m. and 2:00 p.m., an unknown suspect pried open the front door to a residence on the 200 block of Glenwood Avenue and ransacked the house. The victim is still determining what property was taken. On Wednesday, 01-02-19 between 12:35 p.m. and 5:00 p.m., an unknown suspect pried open the front gate and front door to a residence on the unit block of Bepler Street. The victim has not yet reported what was taken. On Saturday, 01-05-19 between 7:30 p.m. and 7:45 p.m., an unknown suspect pried open the locked steel patio on a house on the 500 block of Wyandotte Avenue and stole a Cannondale mountain bike that was in the patio area. The suspect did not enter the residence. On Saturday, 01-05-19 at 10:00 p.m., an apartment on the 300 block of 89th Street was burglarized. An arrest was made. **See “Notable Reports” for more information. There were no commercial burglaries during the past week. •	Serramonte Shopping Center parking lot near Macy’s—a Nike basketball backpack containing basketball equipment was taken from the floorboard of a 2014 Honda Accord. The right rear window was smashed. Occurred on 01-02-19 between 1:30 p.m. and 3:00 p.m.
•	Bridgepointe Inn parking lot—power tools were taken from the tool box of a 2014 Ford F150. The tool box was pried. Occurred between 8:00 p.m. on 01-03-19 and 5:55 a.m. on 01-04-19. •	In N Out parking lot on Gellert Boulevard—an iPad, Amazon tablet, cash, and a passport was taken from a 2018 Dodge Caravan. The right front window was smashed. Occurred on 01-05-19 between 4:30 p.m. and 4:45 p.m. There were three vehicles stolen during the past week. All three were recovered. •	Westlake Shopping Center parking lot (1st floor) on Lake Merced Boulevard—a 2004 Acura TRX. Occurred on 12-31-18 between 2:30 p.m. and 3:45 p.m. **Recovered on 01-02-19 in Daly City. •	Hillside Boulevard/Alp Street—a 2011 Toyota Sienna. Occurred between 10:30 p.m. on 01-01-19 and 3:30 a.m. on 01-02-19. **Recovered by San Francisco P.D. on 01-02-19. •	200 block of Warwick Street—a 2011 Acura Tl. Occurred between 10:00 p.m. on 01-03-19 and 1:00 a.m. on 01-04-19. **Recovered by Daly City P.D. on 01-04-19 after the vehicle was involved in a hit and run collision.